In this tutorial Anders Mouridsen will teach you an instrumental solo acoustic guitar arrangement of the song Fields Of Gold as made famous by Sting. You'll learn to play the melody, the bass, the groove and the harmony all at once, which requires some hard work and concentration! We'll look at all the techniques necessary to play the verses, choruses, and interludes; we'll take it slowly, note by note. We'll finish it off with a play along where you'll be able to play the full arrangement of this beautiful song. Mike will show you the 2 guitars in this song. Guitar 1 is a clean guitar that will play the rhythm chords throughout. Guitar 2 is the lead guitar that adds some slide and filter-effected fills for a unique sound. In this set of song lessons, Mike Olekshy will be teaching you "Fat Bottomed Girls", as made famous by Queen. Mike will talk about how to get close to the Brian May tone, then take you into the main riff and verse. Next is a guitar break, the chorus, and another break. Mike will then break down the leads in verse 3, and then look at the outro and outro leads. Last up is the play along performance and the jam along with the backing track. Caren will show you a made easy version of this classic Jimmy Reed 12 bar blues. in the key of A Major. If you've been studying the blues, you are likely familiar with the 12 bar song structure, if not, this is an opportunity to dig in to a genre that goes very deep while being based on variations on a simple harmonic theme. In this set of lessons, Sharon Aguilar will teach "ABC", as made famous by The Jackson 5. 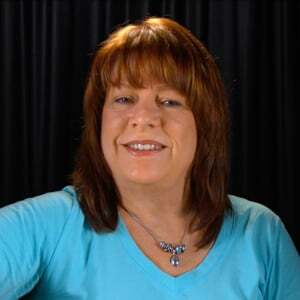 Sharon will introduce the song and go over the gear and tones, then break down the details for the intro and verse, the chorus, and the bridge for guitar 1. Next we'll look at the same sections for guitars 2 and 3, and a bridge part for an additional guitar. We'll then do full and single guitar performances, and end with a jam along. 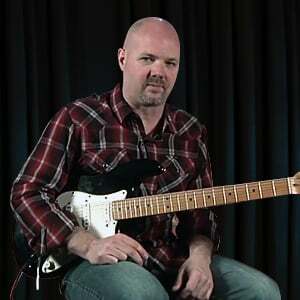 In this song tutorial, Anders Mouridsen will teach you the 1974 hit by the Eagles, "Already Gone". 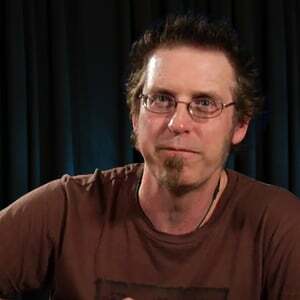 Anders will explain the gear and tone for the song, then dig into the song intro, verse, and chorus. He'll then teach you the lead fills that come in the second verse and chorus, followed by the solo after the second chorus. Then he takes a look at some rhythm guitar, more lead fills, and the leads in the outro jam. We'll take it out with a play-along performance. In this tutorial Tom Finch will teach you to play "Oye Como Va", as made famous by Santana. We'll take a look at the signature lead lines and soloing, the classic ensemble rhythmic breaks, we'll learn the chords and comping styles, the rhythmic hooks, the chromatic descending line, and finally we'll play through the tune from top to bottom. Enjoy! Mike will show you the 2 guitar layers in this song. Guitar 1 plays harmonics that outline the chord progression, while Guitar 2 is a heavy crunch guitar that plays some dropped D style riffs in the arrangement. In this set of 10 videos, Anders Mouridsen will teach you "Susie Q", as performed by Creedence Clearwater Revival. 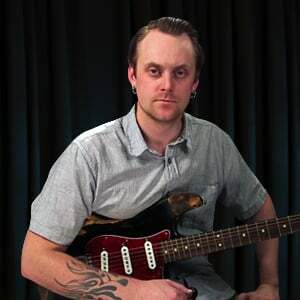 Anders will give an overview and talk about the tones, then dive into the classic riff. You'll then learn the verses, and the rhythm guitar. The next 3 lessons are all solos, then you'll do a play along performance and then you're on your own in the jam along. Caren will show a simplified version of this classic old blues tune. Originally recorded in A-flat, this tutorial will teach the song by bumping it up a 1/2 step today for ease of playing. Whether you're jamming with our GT backing tracks, or with your friends, this one will get your toe tapping. In this short, easy song tutorial, Mike Olekshy is going to guide you through the acoustic grunge song "Polly", as made famous by Nirvana. Mike will first talk about the grungy acoustic tone. Next up is the break-down of the verse section with just four easy power chords, and the chorus section with just four easy power chords too. Then we'll do a full song performance so you can play along. In this set of acoustic lessons, Henrik Linde will teach "Five Hundred Miles" by Peter, Paul, and Mary. Henrik will give a song overview and talk about the acoustic tones, then teach the intro, verse, and chorus parts in a strumming version. Following that we'll break down a more challenging finger picked approach to all the sections. We'll conclude with play along performances and jam along for both the strumming and finger picking.